The corner stone of the Regulatory Reform (fire safety) Order 2005, (RRO 2005), is the fire risk assessment. This would typically be a booklet containing all the relevant information and will also include a fire routines/log book. Fire boxes and wallets may also be part of a working fire risk assessment. The RRO (2005) has been in force since 2006. All places of work covered under the act must have a suitable and sufficient fire risk assessment carried out under this order. It may be worthwhile considering getting a proper risk assessment carried out the first time if you don't already have one in place, saving money and avoiding any enforcement action. Having to go back and get a suitable fire risk assessment done because it wasn't carried out correctly in the first place costs time and money. The law has changed, you need to protect your business from fire and comply with the law. A fire risk assessment is a survey or audit carried out on a building, its purpose, activities carried out within it, the people within it and their activities. The fire risk assessment examines the likelihood of fire, what will happen if fire occurs and what people's reactions will/should be in the event of fire. It will also assess the protective measures in place in the building. It will all need to be written down, unless there are less than five employees, dependant on the risks present. It is poor practice not to record any fire risk assessment. If the local fire authority inspects a building, the first thing that will be asked for is the fire risk assessment. This needs to be clear, concise, accurate, up to date, relevant, factual, and contains all the important bits of information that is required. It is an offence under the RRO (2005) not to have carried out a suitable and sufficient fire risk assessment. You can instruct an outside company/organisation to carry out a fire risk assessment for you. Any fire risk assessment received from Phoenix Fire Consultancy Ltd will be clear, concise, accurate, up to date, relevant, factual, and will contain all the important bits of information that is required. Fire Risk Assessment – Do it yourself? Theres nothing wrong with doing a fire risk assessment yourself – as far as the RRO 2005 is concerned, the risk assessment needs to be suitable and sufficient in the eyes of the inspecting local fire authority. Clearly the higher the risk and more complex the risk assessment, the harder and longer it could take to do one. Might save time and money to get a professional in. 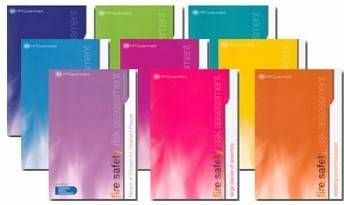 Below are some links to some useful government fire risk assessment guides. There free to download.